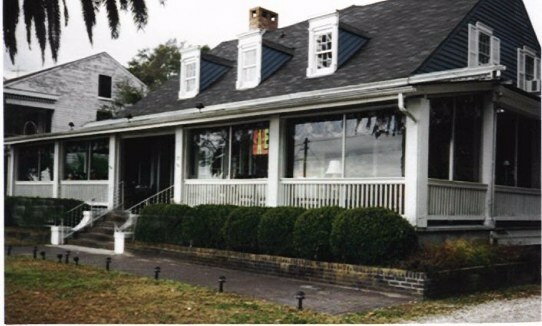 The Blue Rose Restaurant and Antiques cottage originates from 1848 as a story-and-a-half, frame, five-bay, coastal cottage. The beautiful gallery supported by square columns wraps around three full sides of the house. Sheet glass protects the galleries from the effects of weather. Owners Phil LaGrange and Herb Pursley recently invested heavily in a major interior renovation on the second level, which is sometimes rented out for special occasions. When not used, it dubs as their living quarters. The house was built by the Hugh Fitzpatrick family. The National Trust for Historic Preservation has described it as, "the most significant antebellum house on the western portion of Pass Christian's beachfront. Each prior and current owner report their own personal experiences about the ghostly apparitions which are said to haunt the house. A young damsel named Letty has predominated this home through the decades. As the story goes, Letty was the youngest sister of six siblings. Letty was prevented from playing outside the house because her parents did not want the townsfolk to find out that the young girl had severe mental problems. During a Yellow Fever epidemic, Letty was not spared. At about age 13, she died. Since she had seldom left the home, she now roams throughout the estate causing strange occurrences. 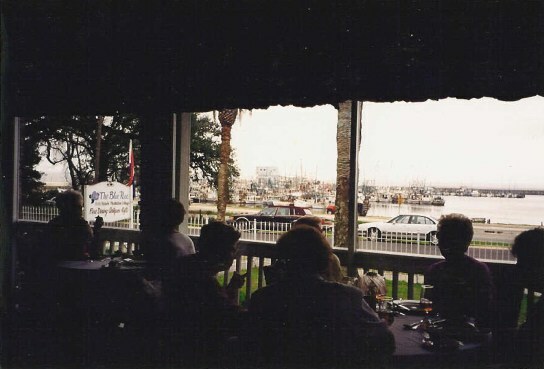 The last owners of the restaurant and the current owners have seen apparitions near a stair well. Waiters and bus-boys have reported objects being thrown or dropped. Locked doors have been opened. Water boils on the kitchen stove when the gas is not even turned on. Once a bottle of wine was seen slowly ejecting from the wine rack only to be slammed upon the opposite wall. But all antics seem harmless and produces mirth and amusement. From the front yard, while renovating, Binh Ly, dug up 150 Scottish-English ale bottles dating from 1830 through 1890 that he used as a walk-way between the two large palm trees in the front yard. When called "La Galarie," another Restaurateur was Paul Mattox who was cast in several TV commercials, and became known as the Marlboro Man. He also reported visions of a young girl peering out at him from a window. Owner-Proprietors, Phil LaGrange and Herb Pursley take special care to import none but the finest in American and European antiques. While browsing through the beautiful antebellum home, one can appreciate the many oils and limited edition prints; the hand-cut crystal and fine estate jewelry; the rare collectible plates, bronzes, and Russian icons; and a vast selection of dated furniture.